Discover a wondrous world where nature meets retail. 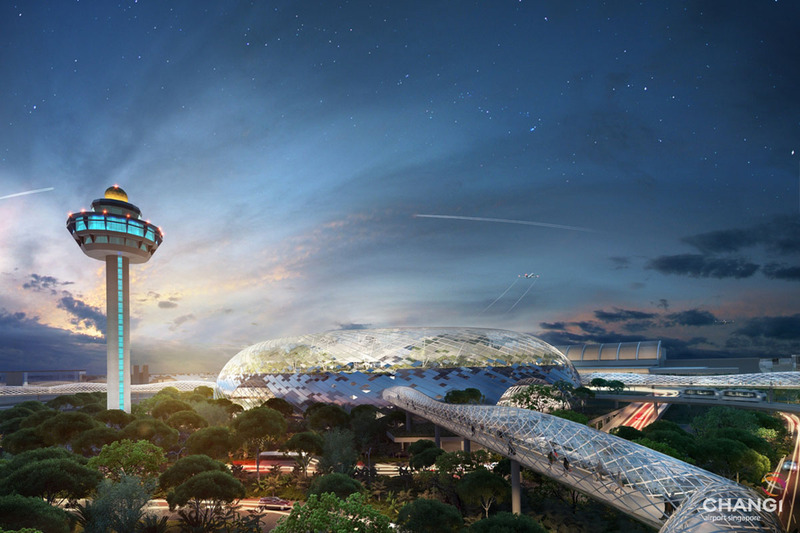 Singapore - Officially opening its doors to the world on the 17th of April 2019, Jewel Changi Airport (Jewel) is the latest game-changing development designed to further raise Singapore’s standing as a tourism destination. The 135,700 sqm complex is nestled in the very heart of Singapore's Changi International Airport. Jewel will house over 280 retail and F&B outlets, one-of-a-kind play attractions, a new hotel and aviation facilities within one of Singapore’s largest indoor gardens. Since breaking ground back in December 2014, Jewel has already received significant acclaim for its design and has piqued the excitement of people from around the world. Visitors to Jewel may look forward to a wide variety of exciting shopping and dining experiences, as well as stunning views of the world’s tallest indoor waterfall, the HSBC Rain Vortex, and the Shiseido Forest Valley, a four-storey indoor forest! Designed by world-renowned architect Moshe Safdie, Jewel features a distinctive dome-shaped facade made primarily of glass and steel, instantly making it an iconic landmark of the airport’s landscape. The aforementioned attractions and unique offerings in Jewel were envisaged to enhance Changi Airport’s appeal as a premier airhub, having been once again named The World's Best Airport for the seventh straight year by UK-based research firm Skytrax involving some 13 million travellers. For more information, please visit Jewel Changi Airport.